Most of us have been made aware of the need for Vitamin D from an increased media campaign over the last couple of years. What we call Vitamin D isnt a pure vitamin as such like for example Vitamin C because our bodies do make it. It crosses into the territory of a hormone too, that our body produces through a series of processes which happen naturally from receiving UVB sunlight through the skin. Molecules from our cholesterol convert this received light to cholecalciferol, also known as D3. It is really our own form of a type of photosynthesis. Cholecalciferol travels to the liver where it is converted to 25-hydroxyvitamin D (25OHD). The kidney then converts 25OHD to 1,25-hydroxyvitamin D (1,25OHD), also known as calcitriol, which possesses hormonal properties and regulates calcium and phosphate balance. Sadly most of us lack enough sunlight caused by a cloudy climate, being indoors too much and not exposing enough skin to it without suncream for long enough. So most of us do become deficient. Some small deficiency symptoms are; poor energy, insomnia, compromised immune system, and mood imbalance. Some higher deficiencies are being linked to; Autism,Breast cancer,MS,Brittle Bones,Heart and Brain problems for example Dementia, Type 2 Diabetes, Auto-immune diseases, Skin and Colon cancer. New research is also looking at the relationship between IBS and vitamin D deficiency. There is rarely one isolated cause for any illness or symptom, it is usually a multi-layered one so please bare that in mind. It is doubly important in pregnancy to have enough for you and your child as the child is totally dependent on the mother at this stage for this. Teeth are formed in the womb for example and I believe alot more is determind there as a kind of blue print than we are aware of. There are studies that even link a lack of vitamin D in the womb to poor verbal skills in childhood. The above is a point to bare in mind with all stated availability of nutrients in foods. The best supplements to take are D3 or Cholecalciferol made from Lichen, some also extract it from lanolin. 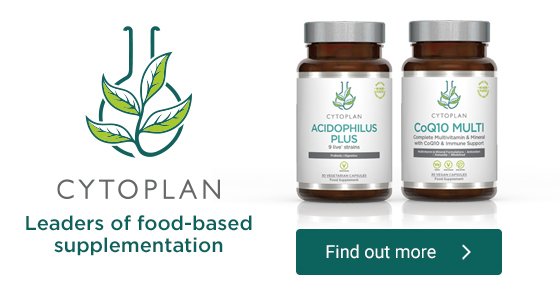 The D3 from Cytoplan is good quality and from Lichen so fine for vegans and vegetarians too. Remember vitamin D is fat soluable, This means that if you take a supplement you must have it with foods containing healthy fats or your body is unable to absorb and use it so well. The optimum way for maintenance would be 15-30 minutes a day of sun-cream free skin exposure to midday sun ! Everything we have been told to avoid over the last decades. And a varied and healthy diet. Vegans are definately advised to supplement. A study looking at improvement in myelination and recovery from nerve injury concluded that cholecalciferol (D3) is more efficient than ergocalciferol (D2). When delivered at a high dose (500 IU/kg/day), cholecalciferol induced a significant locomotor and electrophysiological recovery. The study also demonstrated that cholecalciferol increases i) the number of preserved or newly formed axons in the proximal end, ii) the mean axon diameter in the distal end, and iii) neurite myelination in both distal and proximal ends. Over dosing on Vitamin D supplementation would cause death, for this reason the processed version is the main ingredient in rat poison and all animals are vulnerable to this. But this is not a danger for humans unless exceeding doses of over 40,000IU over a couple of months. The majority of the population are not obtaining adequate levels of vitamin D, however it is possible to have excessive and therefore toxic levels of vitamin D with the main consequence of this a too high level of calcium within the blood (hypercalcaemia) causing calcification and kidney stones etc. I suggest that if you are taking more than 5000 IU per day for more than 3 months, then vitamin D blood levels should be checked regularly, especially during the summer months. An adequate blood level is considered to be above 50 nmol/litre; the scientific literature suggests that a higher level of between 100 to 150 nmol/litre is optimal; levels above 250 nmol/litre are not advised and in this case measures should be taken to lower levels. Please note some laboratories use different units i.e ng/ml rather than nmol/litre quoted here. In this case the optimal range is 40 to 60 ng/ml. Calcitriol (the active form of vitamin D) plays an essential role in maintaining and supporting adequate bone density and it has been shown that vitamin D deficiency is related to an increased risk of osteoporosis and osteomalacia as well as specifically leading to rickets, particularly in children. This is because the primary effect of vitamin D is enhanced calcium absorption in the small intestine. When there are low levels of blood calcium, PTH (parathyroid hormone) secretion is increased which stimulates production of 1,25OH2D (calcitriol) in the kidney. Calcitriol interacts with the vitamin D receptor (VDR) in intestinal cells and signals to increase the expression of calcium transporters and calcibindin D and increase ATP dependent Ca2+ pumps, all of which increases calcium absorption. Vitamin D also stimulates the reuptake of calcium from the kidneys, therefore reducing the excretion of calcium. So vitamin D is responsible for maintaining adequate serum levels of calcium and in doing so it helps to maintain bone density. Serum calcium needs to be regulated within a tight physiological range and if levels fall, then the other action of PTH is to cause the release of calcium and phosphate from bone (i.e. in order to maintain adequate serum calcium and phosphate levels). Thus, vitamin D protects bone from calcium and phosphate loss. Again, as with many other conditions, the role of vitamin D in cognitive health is not yet completely understood. A large 2014 study published in Neurology showed people with extremely low blood levels of vitamin D were more than twice as likely to develop Alzheimer’s disease or other types of dementia as those with normal vitamin D levels. Studies have found that vitamin D has pro-cognitive and neuroprotective functions, including the reduction of hallmarks of Alzheimer’s disease such as amyloid beta and phosphorylated tau. In rats, decline in learning and memory was ameliorated by vitamin D3 supplementation, whereas no improvement was observed in controls. Epidemiological evidence has shown increased prevalence of several autoimmune diseases, including inflammatory bowel disease, MS, type I diabetes and rheumatoid arthritis at Northern latitudes where sun exposure is reduced; therefore, it has been suggested that vitamin D is protective against autoimmune conditions. This is likely to be due to anti-inflammatory and immune modulating effects that vitamin D has demonstrated, such as regulating the production of inflammatory cytokines and inhibiting the proliferation of pro-inflammatory cells, both of which are crucial for the development of inflammatory and autoimmune diseases. In a recent study, both forms of vitamin D – 1,25(OH)2D3 and 25(OH)D3 exhibited anti-inflammatory actions by dose-dependently inhibiting lipopolysaccharide induced production of IL-6, and TNFα (pro-inflammatory cytokines) by human monocytes (immune cells). T helper 1 (Th1) is essential for part of the innate immune system, particularly in response to infection. However, the balance of T Helper 1 cells with T Helper 2 cells needs to be tightly regulated. Excess Th1 compared with Th2 for prolonged periods of time, in the absence of acute infection, is known as Th1 dominance and is associated with tissue specific autoimmune disease such as multiple sclerosis or rheumatoid arthritis. Research has shown that D3 can reduce Th1 (T helper 1) dominance. Additional evidence has strongly suggested that vitamin D plays an important role in modifying the risk of type 2 diabetes, an effect which is likely mediated by an effect of vitamin D on beta cell function, insulin sensitivity and systemic inflammation. Vitamin D has both direct and indirect effects, the latter via regulation of calcium effects on various mechanisms related to the pathophysiology of type 2 diabetes, including pancreatic beta cell dysfunction, impaired insulin action and systemic inflammation. Sunshine – ensuring your face,forearms and ideally a part of legs are exposed to sunlight without suncream for 15 minutes per day during summer months (May-October) between 10am and 2pm can help to build vitamin D levels. Remember if you are fair skinned do not allow yourself to redden, darker skins take more time to make vitamin D – upto 30 mins, Eggs – the yolks, sustainably sourced and non farmed fatty fish and whole preferably unpasteurised dairy if not vegan, a variety of mushrooms and supplementation with foodstate D3. Highly recommended foodstate supplements made in the UK. Click below for special offers.